Globe is a delightful read from start to finish. 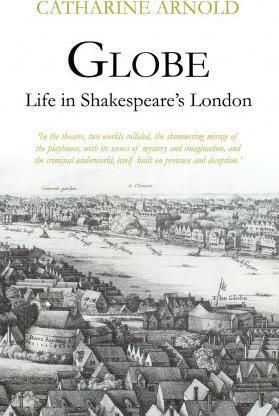 From an imagined scene that brings to life late Tudor London, Arnold takes us into a fascinating history of the London theatre scene, and Shakespeare's place in it. Arnold's prose is a delight to read and there is never a dull moment. While I already had a pretty good idea about theatre in the Elizabethan era, I still learnt a few new things from reading this book, and it will certainly appeal to both history lovers and Shakespeare fans thanks to its accessibility and easy reading style. This is definitely a book I plan to buy in the future, to keep a copy on my shelf.